Long women's parka with large hood trimmed with natural raccoon fur. Jacket in army green colour is fastened with zip and snap fasteners. It also has two pockets and drawstring at the waist and at the bottom, which allows for matching jacket to any body type. 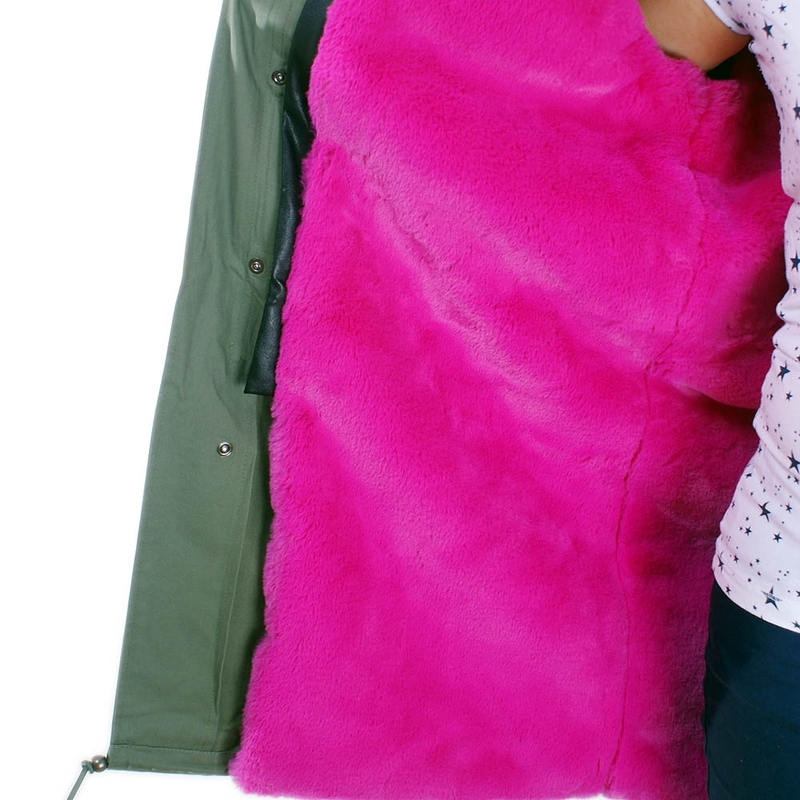 The inside of military parka and hood is made of warm and soft faux fur in pink colour. Warm lining is detachable, so parka coat can be worn also in warmer days. Detachable fur hood trim is made of high quality genuine dyed pink raccoon fur.